Hmm I'll have to give this a shot. Think you might be able to improve the walking speed though? Thanks glad you like it :), there's a lot of gameplay stuff that went unused/commented out due to the length of the game been reduced drastically from what I originally planned. Thank you for the bug report, I uploaded the game with about 12 minutes to go before the contest deadline and I didn't have time to test everything, the bug in question is to do with equipment skills. I am planning in a week or two to update the download with a version with all the gameplay stuff fixed/restored and then hopefully eventually release the game with more content to explore. SpaceSave Version 1.3 has been released! Hey thanks, having that many people play my game is a little frightening to be honest. I thought only a handful would be interested, but I guess playing as a baddie is a more popular concept than I thought. 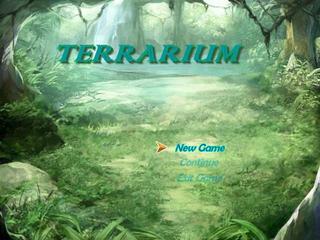 By the way, Terrarium still remains my favorite rpg maker game to this day, so thanks for sharing it. It's more the way the game is I think... it's hard to describe haha. It's surprising I could finally get a game finished, just started off with a cool thought for a battle system and it went from there. All the things I like in a game rolled into one. P6 Blog #25 New demo is released. Ahh alrighty. :) Sorry for the confusion! Last I looked this was like 5000-6000 downloads, now it's up to 7000 xD reach that 10k!